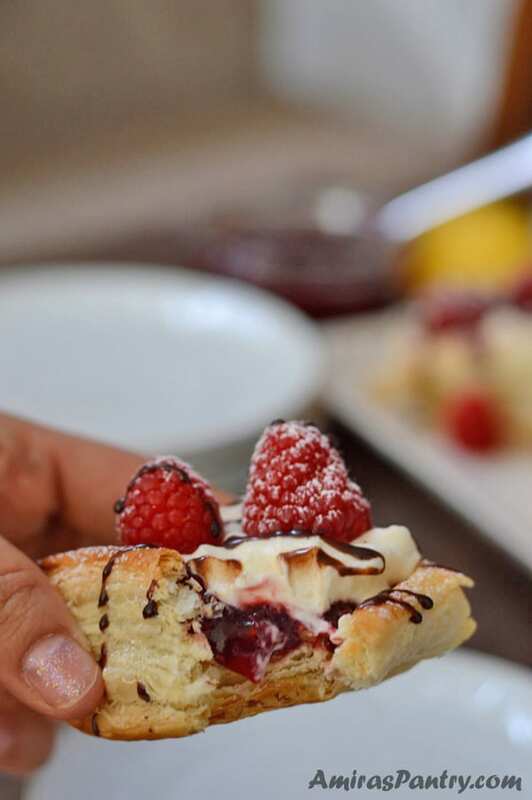 Baba cake is a super spongy cake soaked in syrup, filled with whipped cream and topped with fresh/dried fruits. 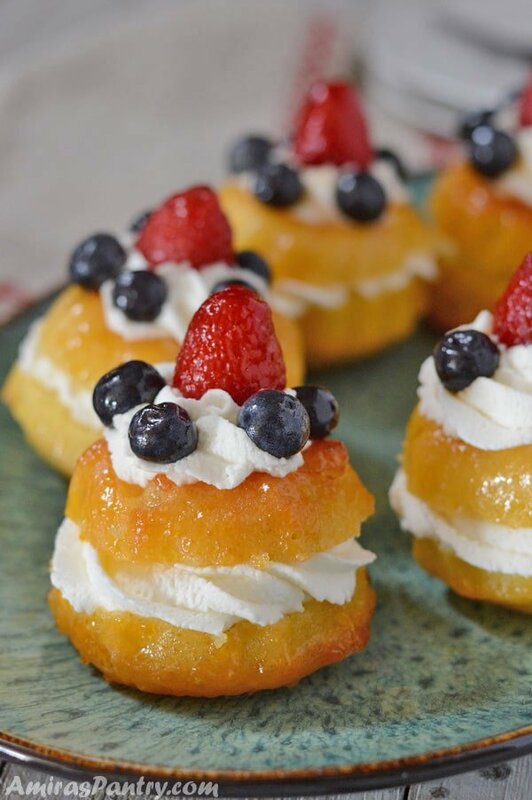 A french decadent fruity dessert that is very sinful. 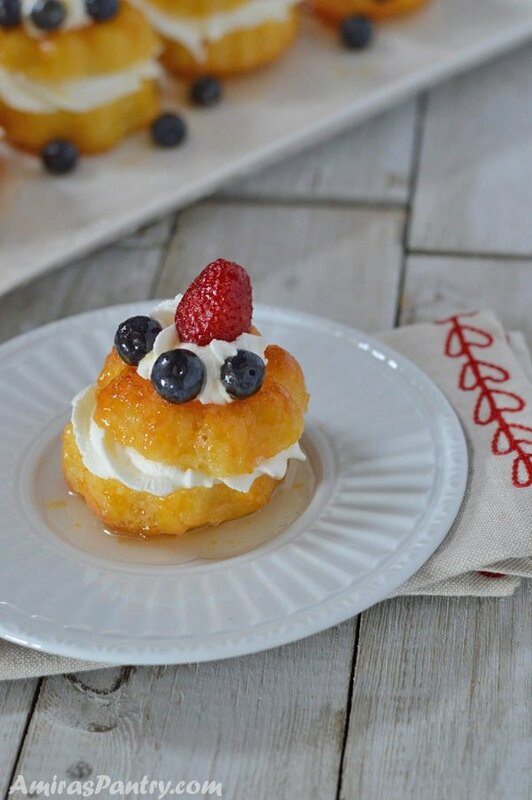 The classic French Rum Baba (Baba au Rhum) is saturated with hard liquor syrup, usually rum, and filled with whipped cream or pastry cream. 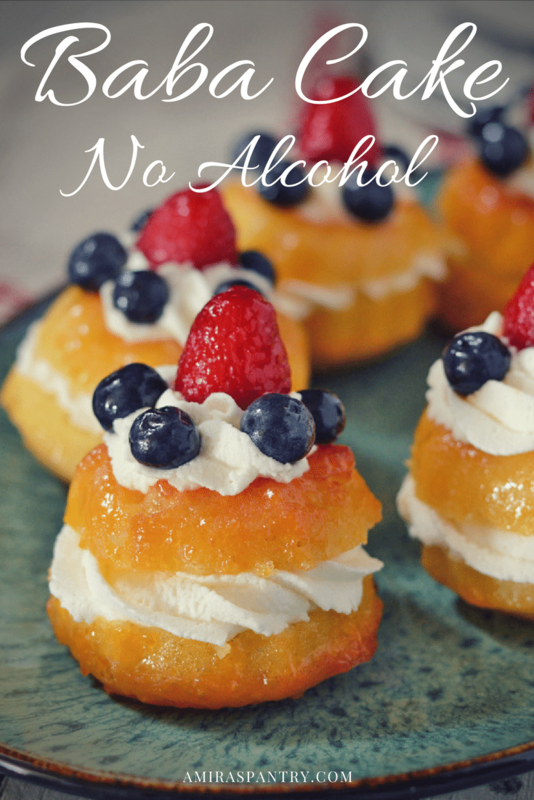 This is a no alcohol baba recipe with whipped cream everywhere, exactly as it is served in the Middle East. 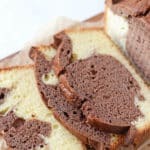 Baba or Babas, as we pronounce it in Egypt by the plural name, can be made in large bundt cake as a whole but it is usually served in individual serving as we’ve made it here. Sometimes people top their babas with dried fruits, personally I think fresh fruits and prettier and tastier. The cake should be saturated with syrup, yet holds its shape, so this is somehow needs your sense. Too much syrup and the cake gets soggy, although still delicious. Not enough syrup, and the cake gets dry. Some people like adding a hint of citrus, cinnamon, anise or cloves to their syrup. For me I do not like to overload it with flavors, just the warm vanilla scent so I can enjoy the cake and make the fruits stand out. Dissolve yeast in warm water and let it stand for 5 minutes until it foams. 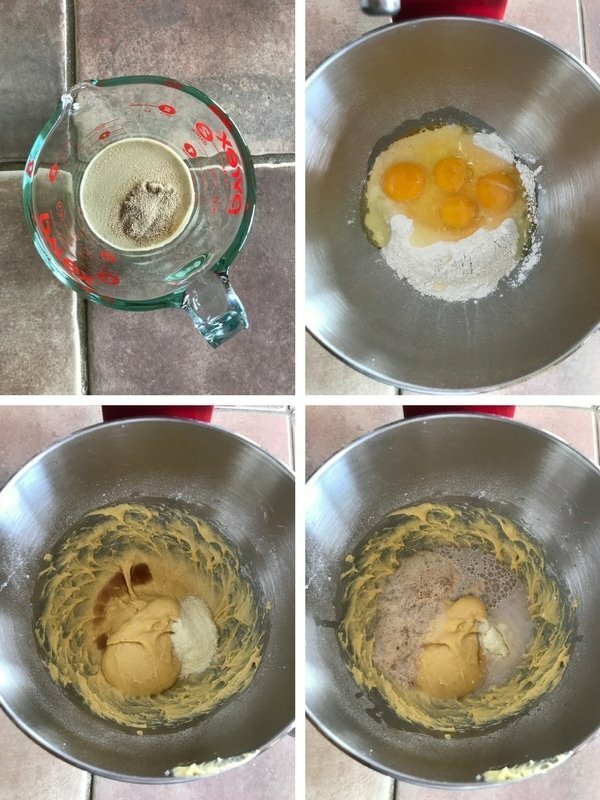 Add flour and eggs and salt to the mixer bowl and mix for 4 to 5 minutes. Add yeast, vanilla and powdered milk and mix very well. Cover and let it rest for 30 minutes. Add butter then mix well, cover and let it rise again for an hour. 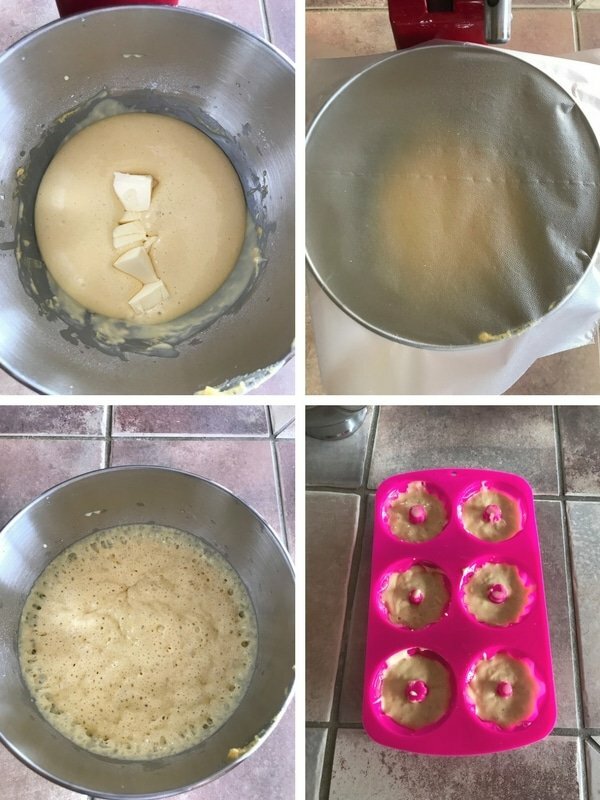 Now, you have the option to pour the batter in a bundt cake, or in individual cups. 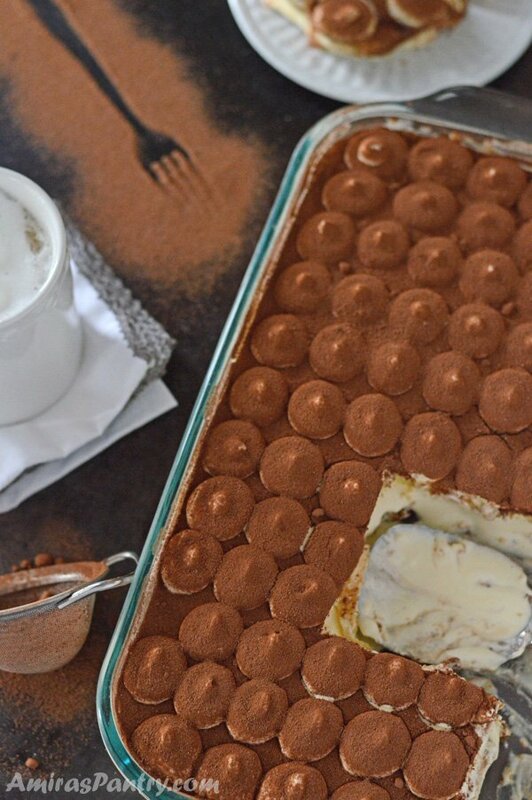 You can also use a 12 cups muffin pan. 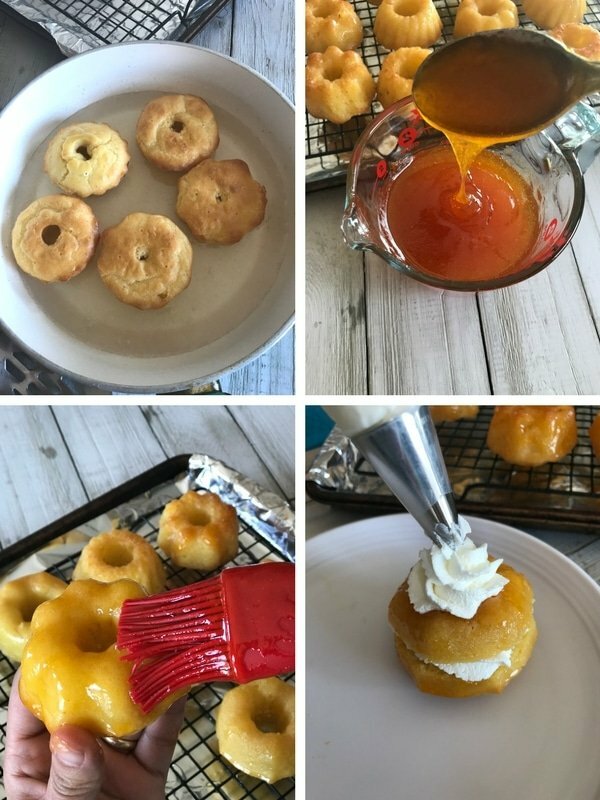 Bake then let it cool down while you make the syrup and the apricot glaze. With a toothpick, make some little holes in each one and drop in hot syrup and let it soak for few minutes. Take them out of the syrup and place on a wire rack to drip excess syrup. Make the glaze while your babas drip, then with a brush, lightly brush the babas with the glaze. Cut in half, pipe some whipping cream in the middle then top with the other half of the baba. 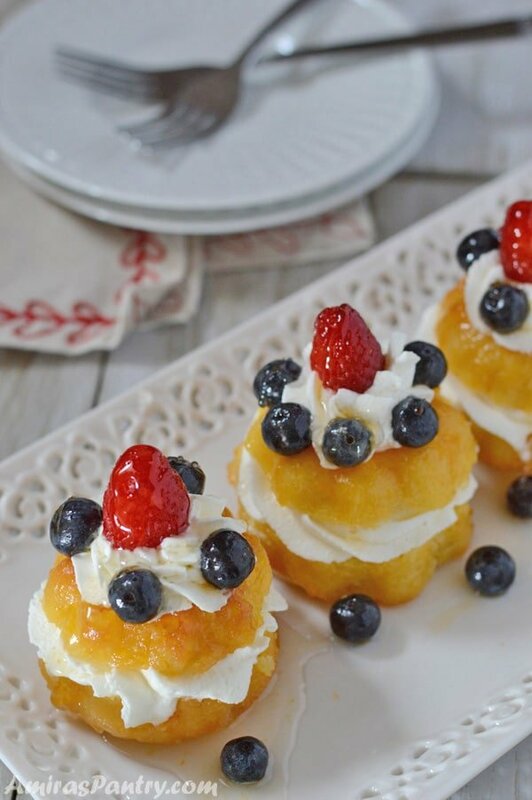 Pipe some whipping cream in the middle and top with fresh fruits. Serve warm or cold, it is better to decorate just before serving. 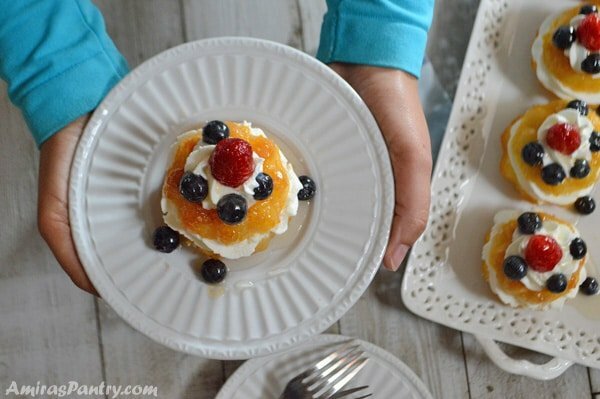 These little fancy dessert brought back lots of memories, my late dad used to love this as he loved anything soaked in syrup anyways :). 4 large eggs room temperature. 1/2 cup unsalted butter, room temperature. In a small cup add warm water, sugar, yeast and mix until combined, set aside. In your mixer bowl, add cake flour, salt, eggs and mix for 4-5 minutes. Add vanilla extract, powdered milk and the yeast mixture then mix until all are very well combined. Make sure to scrape the bottom and the sides of your mixer bowl. Cover and let it set for 30 minutes. Add butter and mix very well then cover and let it set for another 1 hour. Pour batter ( about 2 tablespoons) on each slot in the pan. Take out of oven and let it cool down. Heat the apricot preserve with water until it is more of a liquid then strain. Set aside. Place sugar, water, vanilla and lemon juice in a sauce pan over medium-high until sugar dissolves, turn the heat down to medium low and simmer for 10 minutes. Dip cooled baba in the hot syrup on both sides then place over a cooling rack to drip excess syrup. Brush baba with apricot glaze. Whip the ingredients of the whipping cream in a bowl until it thickened. 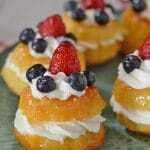 Cut baba in half if desired and fill the middle with whipped cream, arrange fruits on top. I have no doubt that I would love these little baba’s! I like just saying the word! Abbe, you are funny :). 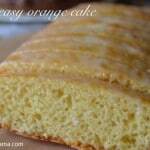 And yessss, it is a very nice recipe that I do not see anyone who might not like it.